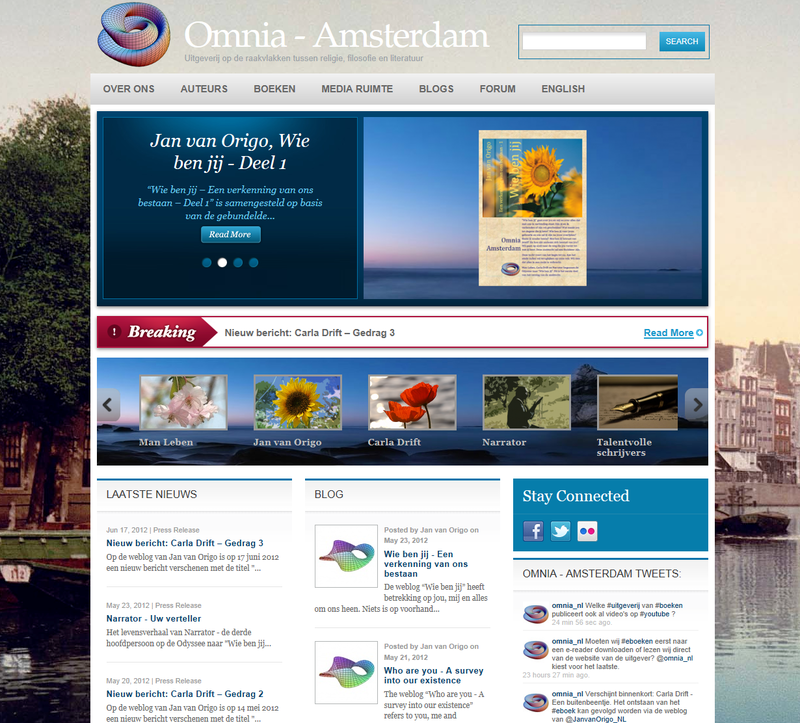 Omnia – Amsterdam Publisher has a fully renewed website, that is fully adaptable to different screen sizes. On every screen size the full content is easily accessible and readable. The former website was fully scalable between mobile, tablet and desktop screen, but the content was not adaptable to the different screen sizes. 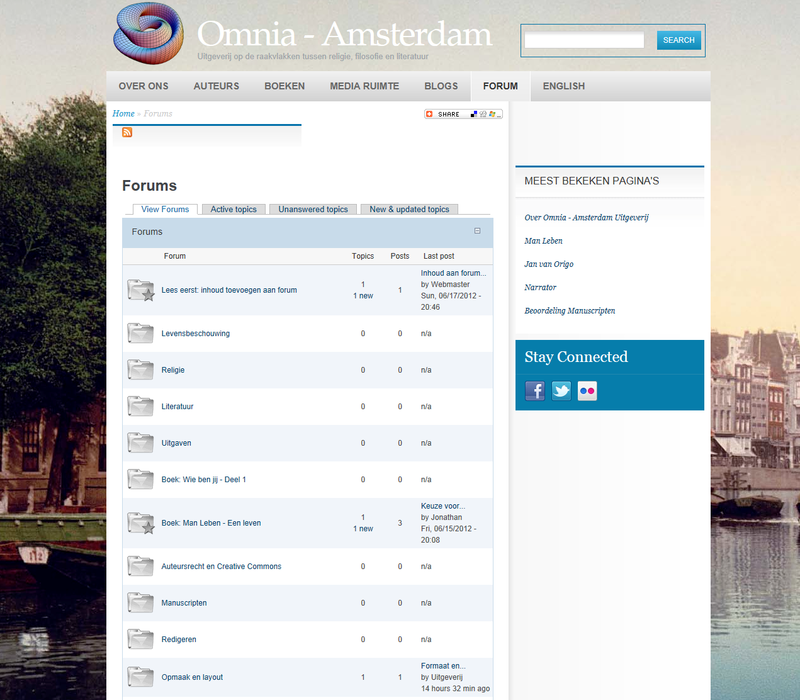 In my opinion this renewed website of Omnia – Amsterdam Publisher is ready for wishes and demands in the near future. This entry was posted in General and tagged Omnia – Amsterdam Publisher, website on 3 October 2017 by Jan van Origo. This part 2.2 of “Who are you” is an exploration of “intensities and association” in Amsterdam, where Carla Drift, Man Leben and Narrator consider the Reformation and the consequences thereof in Holland. During this part of the survey they look into iconoclasm, a personal relationship with God, Calvinistic predestination, fear for freedom, capitalism, to have or to be, the end of time, “My life closed twice before it’s close” by Emily Dickinson and “One what is that”. This entry was posted in About, General and tagged Amsterdam, associations, blook, Calvinistic, capitalism, e-book, Emily Dickinson, fear for freedom, freely, god, Iconoclasm, intensities, Omnia – Amsterdam Publisher, predestination, to have or to be, Who are you on 25 October 2014 by Jan van Origo. Man Leben, Narrator and Carla Drift are the three main characters in this part of the Odyssey “Who are you – A survey into our existence”. The biography “Narrator Nārāyana – One Way” is composed by Man Leben based upon the bundled posts from September 2012 – March 2013 about the quest to “Who are you”. The biography describes the life of Narrator Nārāyana so far. The Odyssey to “Who are you – survey into our existence” is an quest with many stages. The search for “Who are you” is about you and me and all that is in connection with us. Nothing is on beforehand excluded. Are you and I connected or are we separated? What makes you to the person who you are? Who are you before your birth and who will you be after your death? The answer to these questions is currently unknown, but nevertheless we raise these questions. The following two part of “Who are you” will include the chapters 5, 7 and 0 of this quest. This work is licensed under Creative Commons Attribution-NonCommercial-ShareAlike 3.0 Unported License. Photos, images, renderings and quotations in the text may be copyrighted by third parties. Printing of this E-Book is allowed for your own use or for educational purposes. Readers and users of publications by Omnia – Amsterdam Publisher may show their gratefulness by donations to charities of their choice. This entry was posted in About, General, Introduction and tagged biography, Creative Commons License, Ebook, existence, Man Leben, narrator, Odyssey, Omnia – Amsterdam Publisher, posts, survey on 16 June 2013 by Jan van Origo. Unimaginably long ago I arose from the sound of falling rain in the blowing wind and the clattering of tumbling pebbles. With the rain the rhythm was created, by the wind my voice arose and with the tumbling pebbles the applause started. Stories emerged from the rhythm and the wind. Esteem started by the applause with the urge to seek the attention again and again. My entire life I tell stories about life and death, about wars, greed, courage and loyalty, about love, revenge, honour, glory and wrath, icy wrath that brought countless horrors. Since I was saved by Carla Drift from a dream in which I almost slipped to another world, I tell stories for improving discussions and insights on the interfaces between philosophy, literature and religion. Thus, I hope to contribute to a better world, peace and happiness for everyone and everything. This is the summary of the biography of my life. In this summary my first remembrance is missing in which I heard my father singing in a language from the country from where he had left to Africa. This song sounds so familiar as if I already knew it from the beginning of time. My father has told me that this chant is called the īśāvāsya  upaniṣad or the Isha Upanishad  in his country of origin. When I was four years old, my father taught me the text while I sat beside him . Ôm, that is overall. This is overall. Overall comes from overall. Take overall from overall and thus remains overall. The chant of the īśāvāsya upaniṣad can be listened via an annex to this post on the website of the publisher: http://www.omnia-amsterdam.com . My father is dark as the night. He was born and raised in a poor southern part of India. At school he fluently learned Sanskrit: the language of the Gods in the world of women/men. All my grandparents and grand-grandparents spoke this language. As a young adult man my father travelled to Kenya in Africa to wander as storyteller and to have a better life. In this country he met my mother. 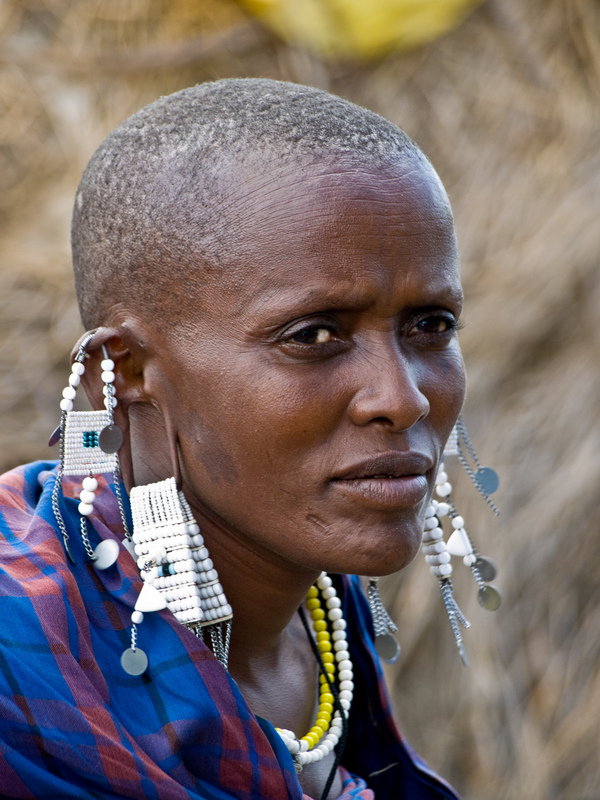 My mother is a proud woman from the Maasai nomads tribe. She does not know any borders; all the land is for everyone and the cattle needs food and care. She met my father as a young woman. He was starving and she took pity on him. Between them a love arose that transcends our existence. They go together through life; my father remains wandering as storyteller and my mother gives care and shelter when he is passing by. Here-from I came on Earth. Around my sixth year, my father brought me to school. There I learned to read and write. I never ceased reading. I read Gilgamesh, Iliad, Odyssey, Mahābhārata, Shakespeare in the last classes of school while the other students played warrior. Many of my stories stem from this time. Until my 16th birth day I stayed at school. Then stark dark pages came into my life. The author doesn’t know the origin of this mp3 file. When the owner makes her-/himself known to the author, the post will be amended to the wishes of the right holders in this question. This entry was posted in About, General, Introduction and tagged Africa, applause, blowing wind, Carla Drift, courage, Engaï, Gilgamesh, Iliad, India, Isha Upanishad, Kṛṣṇa, Kenia, love, loyaty, Maasai, Maasai myth, Mahābhārata, Moon, narrator, nomads, Nārāyana, Odyssey, Omnia – Amsterdam Publisher, rain, revenge, rhythm, Sanskrit, Shakespeare, sound of falling rain, stories, storyteller, tribe, upanishad, wind, wrath, īśāvāsya on 3 September 2012 by Jan van Origo. This weblog “Who are you” refers to you, me and everything around us. Nothing is excluded in advance. The quest for “you, me and everything around us” takes the form of a modern Odyssey. We will approach the question from different points of view; eventually this Odyssey will guide us to our home. Whether we will succeed? We don’t know yet. But the voyage is definitely worthwhile. The Odyssey “Who are you – a survey into our existence” will be published in separate parts. The first part of the report of this survey is published in April 2012. This part is includes amongst others Monism, Atomism and Indra’s Net as a synthesis of both views. The biography “Man Lives – One Life” – of the second main characters in this quest – is published in March 2012. Soon the biography “Carla Drift – An outlier” about the first protagonist during this modern Odyssey will be published. 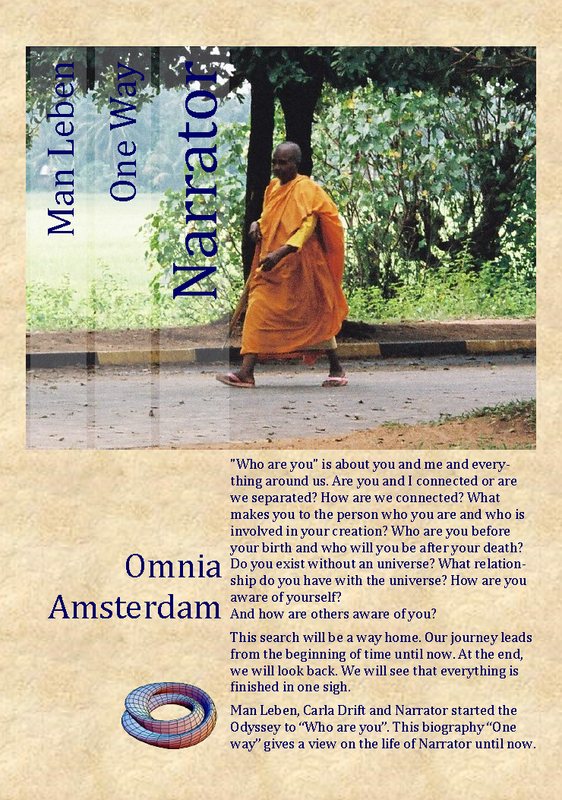 The Netherlands version of the weblog “Who are you” can be read via the website of Omnia – Amsterdam Uitgeverij www.omnia-amsterdam.nl . This entry was posted in General and tagged atomism, Carla Drift, existence, Man Leben, Odyssey, Omnia - Amsterdam Uitgeverij, Omnia – Amsterdam Publisher, outlier, survey, weblog, Who are you, www.omnia-amsterdam.com, www.omnia-amsterdam.nl on 12 August 2012 by Jan van Origo. The manuscript in Pdf-format is 10 Mb and 115 pages. Printing of the manuscript is allowed for own use or for educational purposes under the Creative Commons License. Omnia – Amsterdam Publisher will issue this biography as e-book in Pdf-format at the end of the summer. 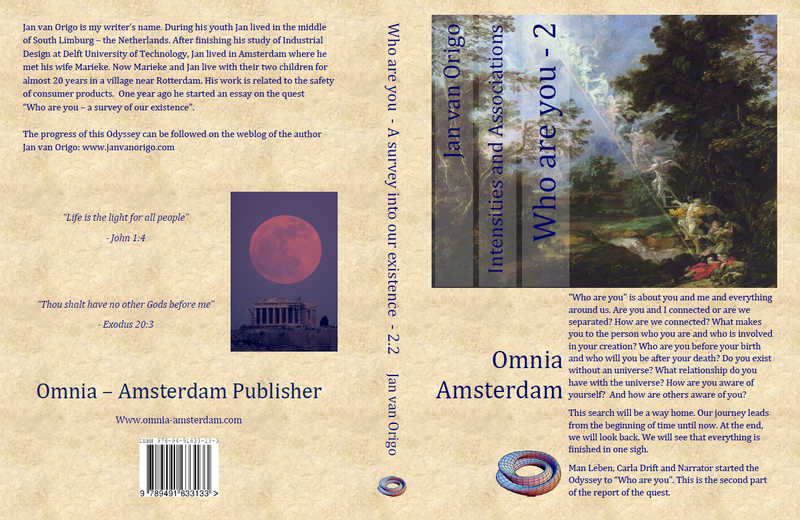 This entry was posted in Introduction and tagged biography, Book manuscript, books, Creative Commons License, e-book, existence, literature, narrator, omnia, Omnia – Amsterdam Publisher, outlier, Pdf-format, publisher, survey, weblog, Who are you on 9 July 2012 by Jan van Origo. My publisher has a new website! This new website has better possibilities to present information about authors, books and the publisher in a structured way. My books are beautifully displayed on the website. The photos show the Netherlands version of the website – the version in English is available via the hyperlink shown. On regular basis I will be active on the forum to post questions, and remarks about books and I will be involved in discussions on subjects within the scope of the book fund of the publisher. 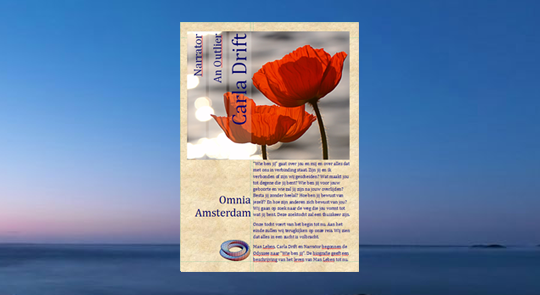 Omnia-Amsterdam Publisher is grateful to all people who made a contribution to its website. The Authors who make their books available under the Creative Commons License. In case you have questions regarding the new website, do not hesitate to contact the Publisher or the webmaster using the contact form. This entry was posted in General and tagged books, Creative Commons License, Drupal 7, forum, literature, Omnia – Amsterdam Publisher, Openpublic, openpublicapp.com, Phase2 Technology, publisher, sitemap, website, www.omnia-amsterdam.nl on 20 June 2012 by Jan van Origo.